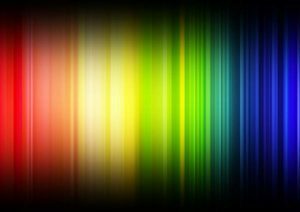 What Makes Asperger’s Syndrome A Spectrum Disorder: And Why Does That Matter? | Kenneth Roberson, Ph.D.
What Makes Asperger’s Syndrome A Spectrum Disorder: And Why Does That Matter? The symptoms of adult Asperger’s varies, both within and across individuals. Nowadays, it is commonly said that someone with Asperger’s syndrome is “on the spectrum.” In most cases, the term is assumed to be self-evident, or at least clear. But what does “on the spectrum” actually mean? And does it have any significance other than serving as another name for Asperger’s? Ongoing social problems that include difficulty communicating and interacting with others. Repetitive behaviors as well as limited interests or activities. Symptoms that typically are recognized in the first two years of life. Symptoms that impede the individual’s ability to function socially, at work, in groups, or other areas of life. A poor attention span, hyperactivity, high levels of anxiety and/or depression, and negative behaviors such as anger, self-injury, destructiveness, and aggression are also common, but not defining, characteristics of Asperger’s. One person with Asperger’s may have extreme fits of anger, for example, whereas another is prone to gentleness and passivity. Comprehending and using language socially may be a minor problem for one individual and a major difficulty for another. In some cases, any one of the characteristics that define Asperger’s may be so subtle as to appear non-existent. We assume that each of the characteristics and symptoms forms a sequence along a continuum of severity. Someone with Asperger’s might be adept at small talk with strangers at a party, for example, but deliver lengthy monologues when talking to friends or family members regardless of the responses of the listeners or expressions of boredom or other indications of a lack of interest. We also know that the symptoms of Asperger’s are not fixed and instead lie along a continuum, because those very symptoms can change with age, becoming more or less severe and more or less noticeable with age. The same is true of one’s environment. Different life situations can influence these symptoms such that they increase or diminish based on the help one receives, the more isolated one becomes, and a host of other factors in the circumstances of one’s life. In summary, a person can have Asperger’s even though a particular symptom of this condition is missing, missing in the sense of not occurring, or occurring so subtly that it can’t be seen. Symptoms of Asperger’s differ in severity within any one particular person and they can occur in any combination. An example of this is a man who is socially aloof, exceedingly private, highly anxious, and aggressive, and who has a photographic memory. This is how his Asperger’s displays itself. Someone else with Asperger’s would have a completely different set of behaviors. It’s not clear why Asperger’s varies so much, but one explanation is that the mechanisms that normally assist in integrating various skills within the person are lacking. Normal, or neurotypical, people build up a complex network of associations between skills and concepts, and this network allows them to combine these skills into a unified whole. People with Asperger’s have trouble combining. If they do integrate their different capabilities they do so in a narrow way, between two capabilities rather than all, with a resulting lack of cross-connections. In summary, the symptoms of Asperger’s are relatively independent of each other, and the level of severity of symptoms is also independent. The net result is that Asperger’s is not a single, consolidated condition that appears pretty much the same from person to person. Instead, it is a collection of characteristics, some of which may be entirely absent in one person while dominant features in another. Asperger’s is a complex, diverse, and varied kaleidoscope of behaviors and conditions, varying across and within, each individual. To say that it is easy to spot, to diagnosis, and to describe is most certainly not the case.